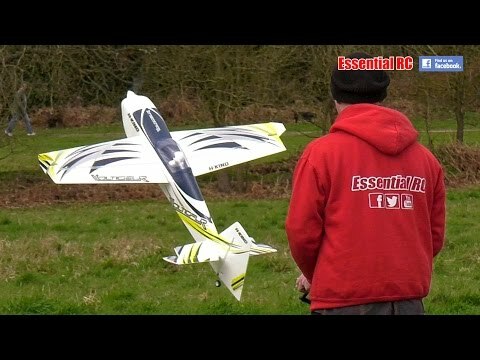 H-King Voltigeur MkII 3D EPO Aerobatic Plane 1220mm - 4S lipo??? I wanted to ask is this new upgraded version of this plane (MkII) (SKU# 9152000006-0) was compatible with a 4S lipo using the new stock motor and ESC? I know the original version was compatible with 4S, but I want to know if the new upgraded version ( MkII ) is also compatible with 4S. HobbyKing has a 4S lipo listed under the "Battery Tab" on the product website, but I still want to make sure this is not a mistake. Hi Jose. No, a 4S is not recommended for the Voltigeur, just a 3S. There are no 4S packs listed under the battery tab now, looks like if there was they have been removed. I have had a look at the box label and it just states 3S. There's absolutely no reason why a 4s battery can't be used in the is plane as the motor and ESC have the capacity to easily handle 4 cells and is all I've used in mine. There is a video over on YouTube showing it being flown with a 2700 mah 4S battery. forget 4s.have blown 2 esc;s on nose over while taxing .it is instantanius.this was with 3s. I have seen this aircraft fly pack after pack of 4s batteries all day long and have flown the same airframe without the airflow straighteners (vortex generators) with heavy 4amp 3s packs as a sports plane. Flies like a moonie or a Piper (Doctor killer) Bonanza. But @Reg is right. Taxies like a dog. Needs way more then the 25% back stick recommended for taxi. In fact if you observe the team 3d fliers thay all taxi with 100% back stick. Just make sure you do your own maths in relation to motor esc etc. Les. I need to replace the motor on mine but can not find info for replacing it. I know that the specs call for a 4028 1000kv brushless outrunner but can not seem to locate it in the system. Thanks for any info you can provide.